For the last 9 months I have been posting on a weekly basis on this blog, Switchingtosolarpv.com. To share some of the most interesting blogs; I have put together the below blogs for going solar your family and friends. This free e-Book is a snapshot of some of the blogs that were published concerning a new way of shopping for solar, that is, how you can switch to solar using an online solar marketplace. Online solar marketplaces are a good source of information, especially for people that are looking for specific information concerning their solar energy profile as well as costs and savings associated with going solar. Online solar marketplaces are also a one-stop place of information where users can compare costs and prices of going solar. Users can also presented with pre-screened solar installers and thus can compare which installer has good ratings or reviews as provided by other solar consumers. Also solar consumers are able to answer the question: Are solar panels worth it? from just typing in their home or business address in these online solar marketplaces to pull out their current energy usage information and what it would take them to switch to solar in terms of costs, carbon savings and energy savings. Why is going solar beneficial? Sun, 05/22/2016 – 02:28 from Finding out whether solar panels are worth it. Are solar panels right for your business? Determine whether small commercial solar panels are good for your small business! Tue, 05/17/2016 – 04:29 from Finding out whether solar panels are worth it. A new way of shopping solar- Shopping with online solar market places Tue, 05/03/2016 – 05:44 from Finding out whether solar panels are worth it. What are Photovoltaic (PV) Devices ? 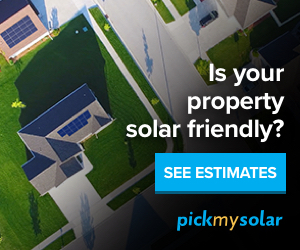 Tue, 05/03/2016 – 03:51 from Finding out whether solar panels are worth it. Tips for going “green” for your business Fri, 04/29/2016 – 22:56 from Finding out whether solar panels are worth it. Are commercial solar panels worth it? Commercial solar or not? Sat, 04/16/2016 – 04:11 from Finding out whether solar panels are worth it. What solar panel financing options are available to you today? Sun, 04/10/2016 – 02:43 from Finding out whether solar panels are worth it. Despite switching to solar energy having tremendous benefits, it has not come so easily because of the high initial cost of solar panels. However, the economic and environmental benefits you could accrue for switching to solar are much more compared to not going solar.